LOTS of material in the masonry workshop. I was happy for an updated copy of the code. Nice touch! Very informative - I like the use of multiple presenters for the vast amount of materials covered, it keeps things interesting! The Masonry Association of Florida, Inc. is a recipient of grant funds from the ​Florida Concrete Masonry Education Council, Inc.
​The Masonry Association of Florida/Masonry Education Foundation is a registered provider with the America Institute of Architects Continuing Education System (AIA Provider # G524), the Construction Industry Licensing Board (CILB Provider# 4545) and the Florida Board of Professional Engineers (FBPE Provider #4507). Credit earned upon completion of this program will be reported to CES records for AIA Members, engineers, building officials, contractors, etc. Please be sure to provide your license number when you register. Certificate of Successful Completion available for non-AIA members available upon request. 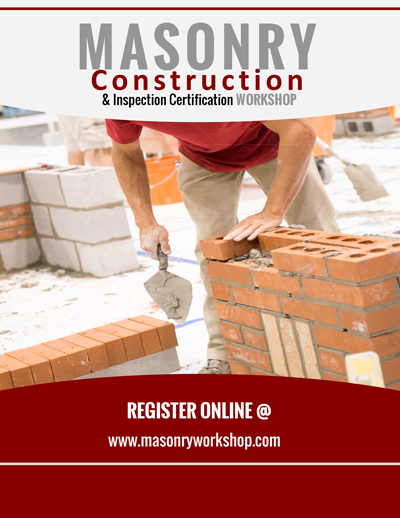 ​The Masonry Association of Florida, Inc. is a recipient of grant funds from the ​Florida Concrete Masonry Education Council, Inc.